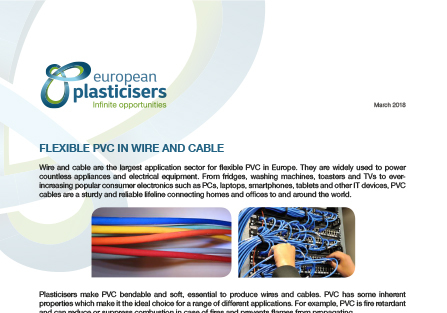 Wire and cable are the largest application sector for flexible PVC in Europe. They are widely used to power countless appliances and electrical equipment. From fridges, washing machines, toasters and TVs to ever-increasing popular consumer electronics such as PCs, laptops, smartphones, tablets and other IT devices, PVC cables are a sturdy and reliable lifeline connecting homes and offices to and around the world. Plasticisers make PVC bendable and soft, essential to produce wires and cables. PVC has some inherent properties which make it the ideal choice for a range of different applications. For example, PVC is fire retardant and can reduce or suppress combustion in case of fires and prevents flames from propagating. High safety standards must be maintained in all cables whether they are used indoor or outdoor. PVC gives insulation, strength and protection at a wide range of operating temperatures. This is vital in the case of inner electric wires, cables and fibre optics used at very low temperatures (when buried underground or below the sea) and at very high ones (when located close to powerful engines as it is the case in automotive applications). Flexible PVC is a sensible choice for cables and wires because it is affordable, durable, a good insulator and can be recycled. PVC wires and cables can last up to 80 years under normal conditions of use. Almost all major producers of consumer electronics use flexible PVC in their products. 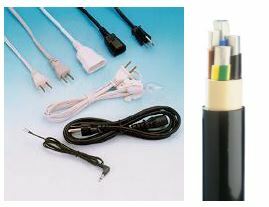 Power cables made of PVC have been the industry standard to plug in personal computers and electronic screens since the 1980s. Today, PVC cables are also used to charge the latest generation smartphones, smartwatches, digital cameras, MP3 players and others. Not to mention the wire and cables used in the construction of residential, private and public buildings which connect them with the electricity grid to power all these devices and lights. Outstanding chemical and physical properties are not the only advantages of PVC. According to a life cycle assessment in the manufacturing of brown goods – TVs, radios, DVD players, etc. - carried out by the International Electronics Manufacturing Initiative (INEMI)1, substituting PVC with alternative materials would considerably lower the environmental standards of the industry. PVC generates three times fewer greenhouse gases than the materials which may be used to replace it. In fact, the impact of PVC on the environment continues to diminish as it is being recycled in growing quantities across the EU. 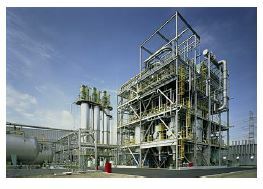 Regarding any possible substitution, it is also worth mentioning that PVC and the plasticisers needed to make it flexible are today readily available in volumes and at prices that can support the growing demand of electronics manufacturers while it would require time and resources to develop, test and commercialise viable alternatives. A few companies have tried to replace PVC cables as a result of pressure from environmental pressure groups. For example, in 2009 Apple became the first and only large producer of consumer electronics to stop using PVC. The company has phased out PVC made cables and changed the design and materials used in power cables used to charge MacBooks, iPhones and other products. However, soon after it became very evident that the new cables were not performing as well as PVC-made ones. They would break more easily and last less, leaving purchasers of new Apple products in disarray. In November 2011 a group of frustrated consumers orchestrated and won a class-action lawsuit which forced Apple to replace broken MacBook power chords . More recently, iPhone 5 charging cables were heavily criticised, because of poor resiliency but also for overheating and causing skin injuries in users . Another advantage of PVC cables is that they can be easily recycled. Thanks to the VinylPlus voluntary programme (www.vinylplus.eu) set up in the year 2000 by European vinyl producers, close to 100,000 tonnes of end-of-life cables are recycled every year. In 2014 alone, the programme recycled over 481,000 tonnes of PVC in total, including also window profiles, rigid PVC films, pipes and fittings and flexible PVC applications such as roofing and waterproofing membranes, flooring and coated fabrics. The recycling process for PVC cables includes separating PVC sheathing from other valuable metals – usually copper or aluminium which can be easily recovered. Cables and wires are one of the major applications being successfully recycled at the innovative Vinyloop© recycling plant in Ferrara, Italy. The process focuses on separating PVC compounds from other materials (other plastics, rubber, metal, textile and others) by selective dissolution and filtration. The use of flexible PVC in the European Union is tightly regulated by REACH (Registration, Evaluation, Authorisation and Restriction of Chemicals), the most stringent chemical regulation in the world. EU authorities have regulated the use of all plasticisers, banning those very few showing negative health effects. Plasticisers used in current flexible PVC’s applications are safe and pose no risk to consumers’ health and the environment. The safety of PVC in cables and wires is also covered by the Restriction of Hazardous Substances Directive (RoHS). The European Commission has adopted a ban on the use of DEHP, BBP, DBP and DiBP in electrical equipment by adding them to the list of restricted substances set out in Annex II of the EU Directive on the restriction of hazardous substances (RoHS2) in electrical and electronic equipment. EU member states will have to implement the ban by 31 December 2019. REACH and RoHS, combined with the strong commitment of the flexible PVC value chain, ensure that PVC manufactured in Europe follows the highest standards ensuring consumers’ safety.